Dr. Guy A. Mangia, D.D.S. is a highly respected dentist with more than 30 years of experience in providing state-of-the-art, high-quality dental care to clients in the San Fernando Valley. He specializes in restorative and Cosmetic Dentistry and takes great pride in ensuring his patient’s comfort and satisfaction with every procedure, no matter how big or small. This dedication to patient happiness, along with his friendly chair-side manner and excellent dentistry, has earned Dr. Mangia multiple patients’ choice awards in Los Angeles, and the Daily News and made him a go-to dentist for advanced dental work in Southern California. Veneers, Crowns, Dental Implants, Invisalign, and Teeth Whitening are just a few of the services offered to boost your confidence and comfort, and improve your smile. Dr. Mangia is a graduate of the USC School of Dentistry, where he was among the top 10 percent of students and a member of both Phi Betta Kappa and the dental honor society Omicron Kappa Upsilon. Dr. Mangia is also an alumni of the prestigious Pankey Institute for Advanced Dentistry and has attended the Center for Advanced Dental Studies in Florida, under the direction of renowned educator Dr. Pete Dawson. In addition, he is a member of the San Fernando Valley Dental Society, California Dental Association, American Dental Association, and numerous Implant Study Groups. His dedication to continued dental education ensures the best in modern dental treatments and techniques for his patients. This skill is reflected in the consistently glowing reviews for procedures ranging from complex dental reconstructions to beautiful cosmetic dental work to the satisfaction of long-term patients who simply come in for routine cleanings and exams. When he is not in the office, Dr. Mangia is an active member of the San Fernando Valley community. He is engaged in community service and philanthropy, and he has been a member of the Van Nuys Rotary Club for more than 28 years. He also loves spending time with his family. Dr. Guy A. Mangia, D.D.S. 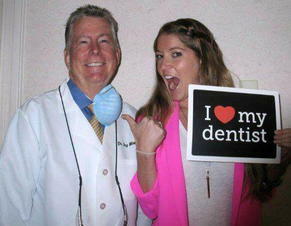 Guy Mangia, DDS is honored to be once again voted Readers Choice Best Dentist by the Los Angeles Daily News. This 2017 award marks the 8th year in a row that Dr. Mangia has received the prestigious title or Readers Choice Favorite Dentist. The accolade also coincides with the dentist’s 35th year anniversary in practice in Sherman Oaks, California. Praised for both his skill and relaxed chairside manner that puts even the most dental phobic patient at ease, Dr. Mangia delivers the highest quality general, cosmetic and restorative dental care from his conveniently-located, state-of-the-art office on Van Nuys Blvd. He and his “dental dream team” understand how uneasy some patients feel about dental visits and how providing a relaxing and positive environment can make all the difference. Dr. Mangia offers personalized care to patients of all ages. He and his team are dedicated to ensuring that everyone’s experience at the practice is as comfortable and pleasant as possible. "Dr. Mangia along with the office staff is very friendly, knowledgeable and professional. I enjoy coming to their office and have had great experiences." "Been coming to see Dr. Mangia and his team for over 20 years. I've always received the finest treatment - courteous, fast, professional and using the latest techniques." "I have been a patient of Dr. Mangia for 30+ years. He and his staff are very professional, they are the best." "Everyone that works there is friendly and great. 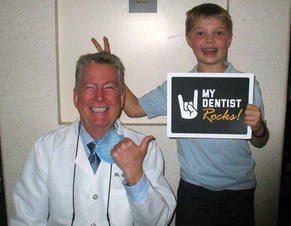 I would definitely recommend to anyone looking for an excellent experience at a dental office." "Dr. Mangia is the best dentist around. I fully trust Dr. Mangia & his team. They are awesome and have become like family. I highly recommend Dr. Mangia." 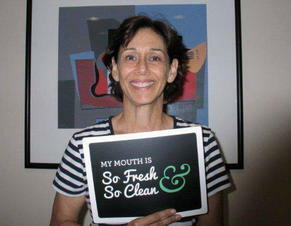 "I had a small cavity filled and it was the quickest most painless experience ever. They would never drill if they didn't need to. My cleanings are fast and pleasant." 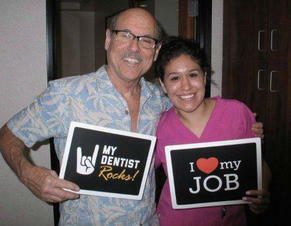 "My dentist Guy Mangia, if I should need some dental work always, informs me before and every step of the procedure. Looking forward to my next visit in two weeks." "Had another chipped tooth. Dr. Mangia fixed it in no time with no pain. When it was finished, looked like nothing had ever happened. Thanks Dr. Mangia." "I have been going to Dr. Guy Mangia for over 20 years. It is always a good experience. Dr. Mangia and his staff are true professionals." "I don't love going to any medical appointment, but every time I am with Dr. Mangia and his staff I am reminded of how comforting the experience can be." "Everyone was very friendly and helpful. The technology there is more up-to-date than other dental offices including a painless numbing wand which is the best thing ever." "I had an emergency situation where my front tooth chipped. Dr. Mangia came in early and did a beautiful job. My tooth looks as good as new." "Love love love Dr. Mangia, Monica, Pam, Kerry and the entire staff!! They are professional and personable to all their clients!" "Office staff is excellent as well. Equipment used is up to date. Minimal pain with fillings or crown. Have recommended already to others." You may already know that a veneer is a thin covering over another surface. In dentistry, a veneer is a wafer-thin layer of super-strong porcelain that convincingly substitutes for natural tooth enamel. Cosmetic Dentistry goes beyond simply responding to dental problems as they arise. It's a comprehensive smile-rejuvenation plan that's uniquely suited to your own facial features and aesthetic preferences. Adriana has been with us for six years now and is always available when and where she is needed, whether it's at the front desk or in the back assisting with Dr. Mangia and you the patient! Now as our Appointment Coordinator she helps our office run as smooth as possible. Adriana enjoys spending time with her family, friends, long walks in the park and spending time at the beach. She keeps busy as a nanny part time to several families here in the Valley. In her spare time, Evelyn spends her days watching and supporting her 17year old daughter Nathaly while she plays Basketball and Softball. She herself has been active in a co-ed league for 8 years.